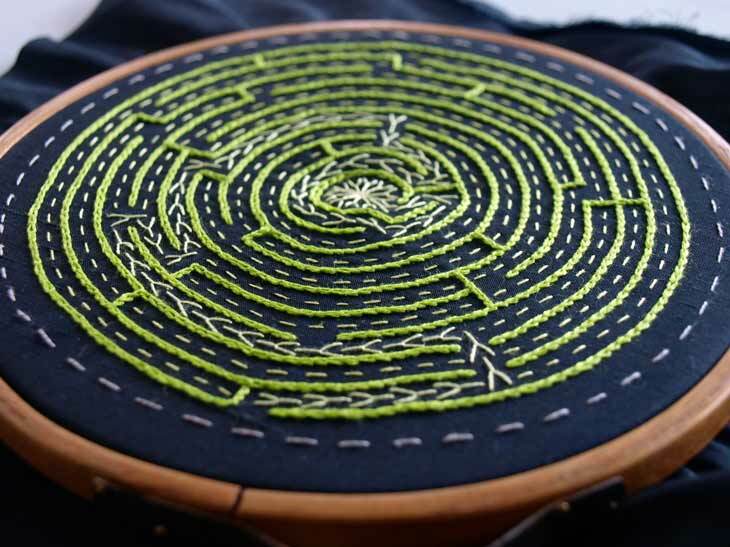 As in my first embroidery, fly stitches represent neurons making synaptic connections in the maze. 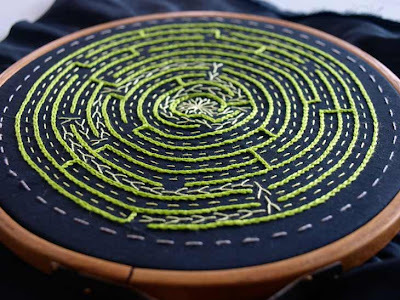 The finished work is a meditation on learning and memory. Burt says PSYCHOLOGY means minds and LABORATORY meens a place where they make spearamints. I thot he ment like where they made the chooing gum but now I think its puzzels and games because thats what we did. The story raises simple moral questions about the value of human life and the progress of science, about which you can come to your own conclusions if you take my recommendation and read the book for yourself.